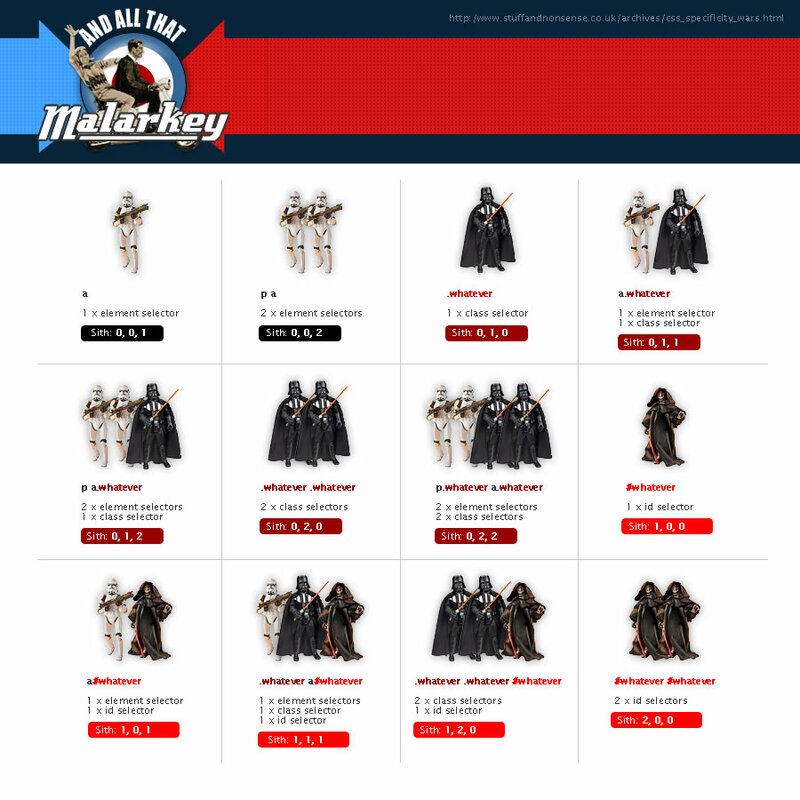 I am just going through the CSS Specificity on one of Stefan's courses and I remembered an article I read (many years ago) on Andy Clarkes website - www.stuffandnonsense.co.uk where he explains CSS specificity using Star Wars characters. Ah! My friend Malarkey! He was a big help back when I was doing web design. Always had good articles and good ways of explaining things although this one I have never seen. He is always worth reading. Really look around his stuff folks, you will likely not regret it.